Modify Your Mindset to Mentoring Generation Z, written by Lauren Beam for the Huffington Post, September 12, 2017. Generation Z is here. They are students on our college and university campuses. They are interns and will soon be full-time employees in our businesses and organizations. They are solving the world’s problems as entrepreneurs of start-up ventures. This group of natural-born techies (born between 1996 and 2012) are known to have short attention spans and to be speed communicators. They are entrepreneurial yet practical, globally connected, private, and highly diverse and multicultural. As we consider characteristics of this new generation and how they approach life, what does this mean for engaging them in mentoring relationships as college students and future young professionals? Using a traditional approach to mentoring is not going to be sufficient. For many colleges, universities, and business organizations, mentoring has been implemented as a formal, one-to-one relationship in which the mentor and mentee are matched together and then engage through in-person meetings for a designated length of time until the relationship ends. While this more formal mentoring model may be appropriate and effective in some situations, and there is great value in helping young adults to develop both short and long-term interpersonal goals, Gen Z’s emerging communication and relationship style calls for new mentoring models to be considered. So what mentoring models should we consider? Let’s look at three different approaches. Group Mentoring. Generation Z is likely the most connected generation we have ever had. They value connecting with and learning from people with different perspectives and experiences. Group mentoring – whether it’s done in-person or in an online format (Google Hangout, Skype) – offers a unique approach for pulling together a small group of individuals to ask questions, share, and reflect on specific experiences or similar struggles. For example, at Wake Forest University we have utilized group mentoring with young alumni in specific cities to navigate through personal and professional challenges, with senior students approaching graduation and the transition to post-college life, and through networking roundtable events that connect alumni and students. Check out this article on strategies for success in group mentoring. On-Demand Advice. Members of Gen Z have an abundance of information at their fingertips. It’s no surprise that they also seek out mentoring advice and wisdom that is on-demand. Whether it’s through an online chat, YouTube video, advice article/story, or online course, Gen Z looks for those quick mentoring moments where they can glean wisdom for the issues they are facing. As a faculty or staff member at a college or university, or a manager within an organization, identify opportunities to provide or create on-demand mentoring experiences. Topics of interest to this generation include how to manage a difficult boss, goal-setting for personal and professional growth, access to resources and opportunities, and building community and connections in a new city. Building a Mentoring Network. 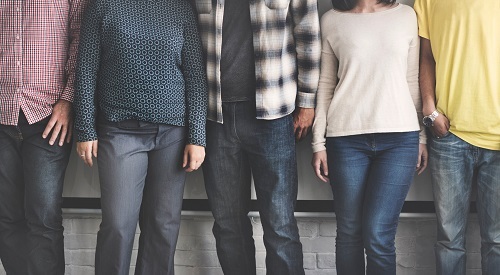 The global connectedness and multicultural values of Gen Z demonstrate that this group sees no boundaries to who can be a mentor and when they can engage in mentoring relationships or conversations. We should be teaching and training our college students and soon-to-be young professionals the skills to intentionally engage in developmental mentoring relationships throughout their entire lives and careers. We all need to build a network of mentors to guide and support us along the way. So how do we equip Gen Z to do this? Whether through an in-person class or online course or accessible online resources, Gen Z should be learning how to actively listen, ask good questions, solicit and receive feedback, reflect on experiences and apply lessons learned to future situations, and seek out mentors. 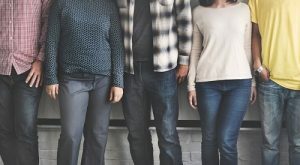 As we consider how to best mentor Generation Z, we have to rethink what mentoring “looks like.” This means knowing how these young adults want to receive information, how they want to engage in relationships, and what skills they still need to develop in order to establish meaningful connections with mentors. And sometimes, that requires readjusting our mindset towards mentoring.